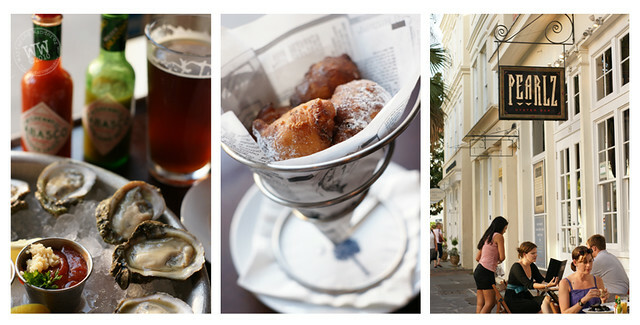 If there's one thing you can count on when it comes to visiting Charleston, SC, it's that you couldn't possibly run out of things to do. It has been named one of the Top US Destinations by many different publications many times over, and for very good reason. 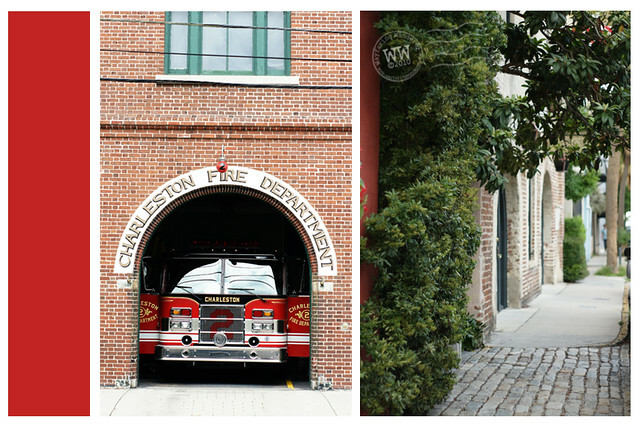 It's no wonder that the charm of Charleston manages to captivate so many people because it really is an amazing place to spend time. There's so much to do, in fact, you might have trouble deciding where to start! To make things a little easier, I've compiled a list of my favorites to share, so that it may help you figure out what you might like to see and do while in town. 5 Nights for the Price of 1: Conveniently located 10 minutes outside of Charleston is a great place to save money on accommodations. That is, if you're not afraid of mosquitoes and extreme heat! Ideally, campers looking to save some money won't be crazy enough to camp in the dead heat of summer like we were, but James Island County Park offers a high class camping experience at any time of year. The 643-acre recreation facility has more than any normal campground offers with a waterpark and a climbing wall on top of the other amenities. 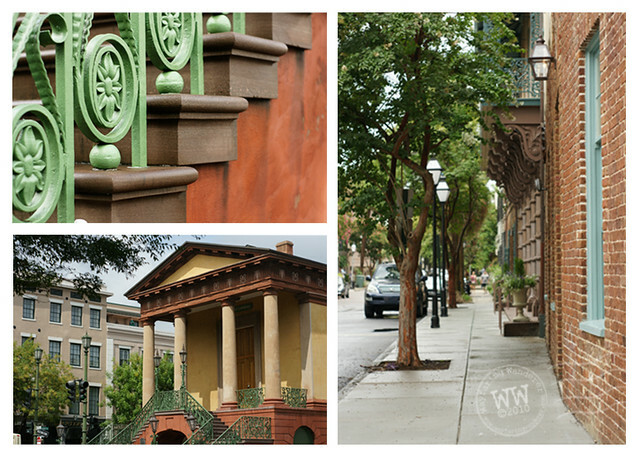 Delightful Details: Charleston is comprised of many historic buildings and homes that are best appreciated by foot. One of the most enjoyable activities was simply wandering around in search of whatever catches your eye, which is nearly everything. Don't be afraid to stray from downtown, though, as time seems to be steadily standing still in the picturesque neighborhoods surrounding the city as well. It is well worth the effort and exercise necessary to reach them in order to get a glimpse of the well-preserved past. A Walk in the Park: At the edge of the city you will find a landmark promenade stretching along the shore called White Point Gardens, it is also referred to as The Battery. From the center of town, it does require a trek for those traveling on foot, but you won't be disappointed by the beauty that awaits. The shear grandeur of the Antebellum homes lined up along the river was a little alarming. Honestly, I really don't know what people do with that much house, but they sure were beautiful to observe from the outside. Open Your Eyes: Found in odd places these urban pieces of art break free from the confines of a typical brick and mortar gallery. Okay, so they're vandals, but I still think it's cool. If you are watching closely while walking around town, these fragments can be found where you least expect them, and in many different forms. We had fun hunting for the elusive OBEY stickers and spotting the many spray painted quotes stenciled on miscellaneous surfaces. It's raining, it's pouring: After a heavy rainfall it's common for some of the city streets to transform into canals. I never knew that an impromptu flood could be so much fun to wade through. I'm sure that the last thing in the world that should be considered a fun time would be when the streets of downtown Charleston are flooded with cars under water and wot not, but it was. I may have enjoyed it too much! The locals acted like it was normal it happens so often. For me, it was like getting a snow day. Ending our trip on a wet note was definitely one of the highlights, especially since I had never been in such a situation before. Tiny Tidbits: Other moments we treasured while gallivanting through Charleston included walking along the old cobblestone streets that are still in use, inspecting the intricate designs found in ironwork on fences and elsewhere, unexpectedly falling into hidden alcoves where we gladly got lost & forgetting where we parked our car (there are LOTS of parking garages, too!) on more than one occasion (It's true, we didn't learn our lesson :D). 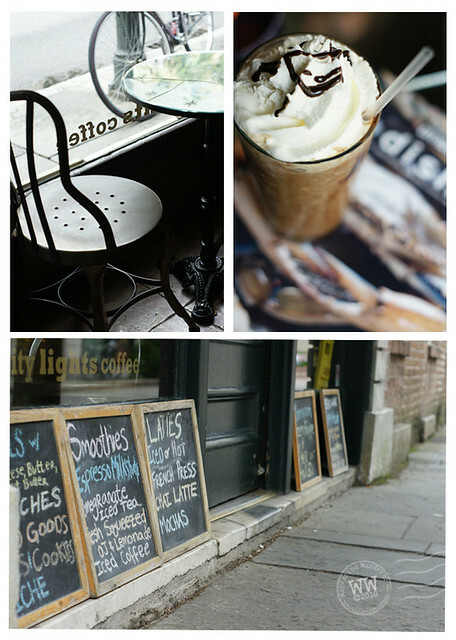 So, there's my list of some of the things we did while on vacation in Charleston, SC. It doesn't cover everything, but it's pretty dang close! I do have more pictures to share, however, if I posted all of the ones I'd like to share, this post would be a mile long. No lie. 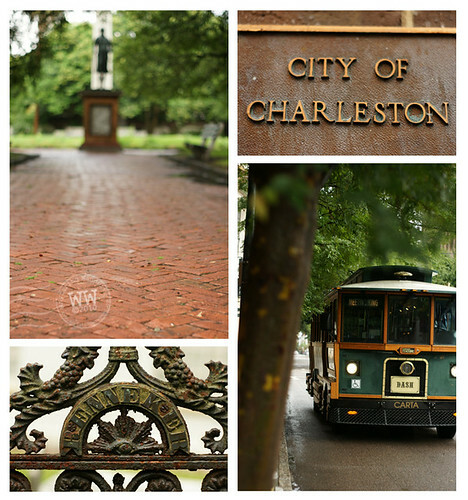 A Casual Collection of Charleston Charm A photo montage..
definitely one of my favorite cities - it's been too long since i've been there and now i really am wanting to go back. did you go to the music farm? is it still in business? and did you go to over to the other side of the bridge to the island? @Char: No, we didn't go to the music farm. Hadn't even heard of it. And, we intended to do a bike ride across the bridge to the other side, but we were having way to much fun exploring downtown. Next time! I've never been, but you are making me want to go! Great pics, great commentaries. Make me so wanna visit Charleston, and I'm from India!